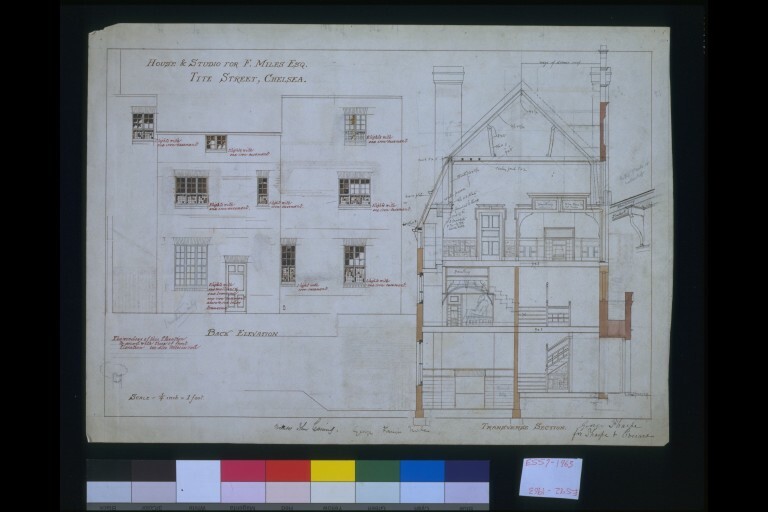 Drawing showing elevations of the back of a house and a cross section of the building. The drawing on the left is annotated with red ink. Inscribed with notes, measurements etc. E.533, 556-1963 are said by the artist to have been rejected by the Board of Works (see p.261 of The Building News, March, 1879). The artist’s second designs, E.554, 555-1963 were passed by them. E.555-1963, a copy of the artist’s design by C. P. Edwards was reproduced between pp.220, 221 of The British Architect…, Vol, 10, 1878. 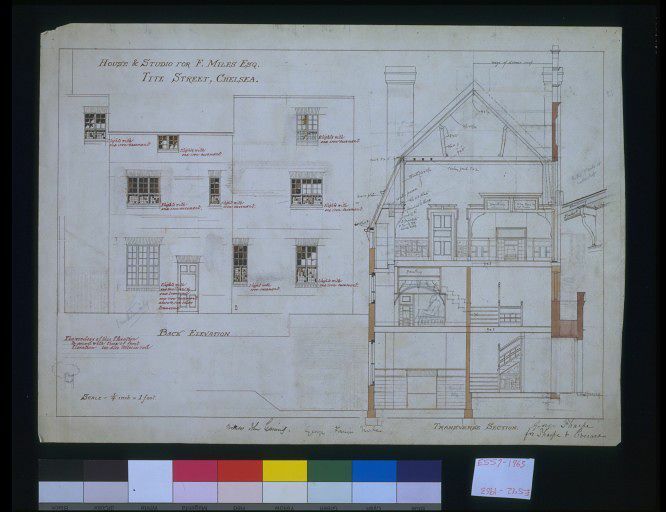 This drawing is a design for a house and studio for the artist Frank Miles, Tite Street, Chelsea. 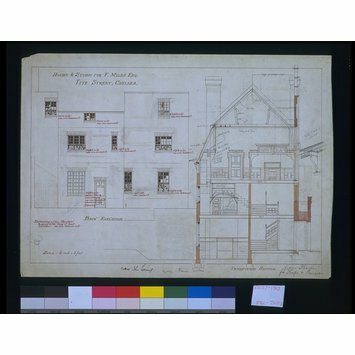 Design showing the back elevation of a house and a cross section. One of 21 sheets of designs for a house and studio, Tite Street, Chelsea. Pencil, pen and ink, ink wash, water-colour, gouache and coloured chalk drawing by Edward William Godwin, 1878-1879.